Agape has served the Dallas Fort Worth Metroplex since 1994. When it comes to the care of yourself or loved one, doesn’t it make sense to go with home health care agency that has stood the test of time? 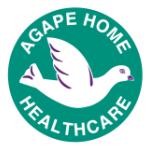 Agape Home Healthcare is a home health agency servicing the Dallas Fort Worth Metroplex, licensed by the State of Texas, and certified by Medicare and Medicaid. Our staff is comprised of a team of qualified medical professionals committed to providing quality healthcare at home. These services are provided under the licensed and certified category of home heath service. Our administrative office located in Mesquite, TX is here to assist you as you begin looking at your options for in home care. Because the treatment is at the patient’s home, there is a feeling of relief for the patient as they are in a familiar environment surrounded by loving people and their most treasured possessions. This type of treatment is more conducive to the patient’s recovery. Agape Home Healthcare exists to take care of all your home healthcare needs. 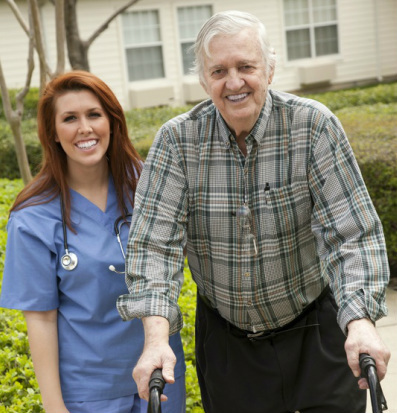 We can provide you with nursing, therapy, medical social worker and home health aide through our Home Health Division. In addition to these services, meal preparation, light housekeeping and more can be provided for you through our Long Term Care Division. There will be no cost to you for our services if you qualify. Call 972-681-8420 for more information. We are now hiring nurses and therapists. We also provide hospice services to those in need through Agape Hospice Care. For more information regarding hospice please call 972-279-1000. You are eligible to receive our services if you are currently being treated for an illness or have been recently hospitalized and are essentially homebound. A plan of care will be developed for each patient, and an order will be obtained from the patient’s physician. Our services can be provided without cost to clients who qualify under certain state funded programs. We encourage clients who are interested in home care services to call our office to see if they qualify for these benefits. We also accept private payment directly from clients who do not qualify for services under the state funded programs. Agape Home Healthcare offers a variety of payment options (see above). On occasion, we might be able to arrange payment plans to meet a client’s specific needs.